The UFC 159 fight announcements came at a fast and furious pace this week. With the addition of today’s lightweight battle between Joe Proctor and Al Iaquinta, seven scraps have now been confirmed for the April 27th lineup. 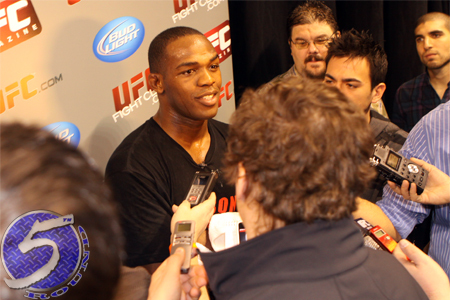 A light heavyweight title tilt between champion Jon Jones (Pictured) and Chael Sonnen headlines the pay-per-view broadcast. Middleweights Michael Bisping and Alan Belcher serve as the co-featured attraction.